Google Plus has recently rolled out some very impressive updates to its features starting by improvements of the page lay-out to improvements in Google Plus Communities. Last year, Google integrated Google Plus into its ecosystem. Google calls this access to “your web.” So instead of all the public information that is already available to everyone searching via Google, so you can see information that you posted into Google’s new social network and on some of Google’s other services like Picasa Web. However, what I want to focus on today is a very interesting service offered by Google Plus called " communities". I see this feature as a great way for teachers to expand their personal/professional networks through connecting and sharing resources with a wide audience of like-minded educators and teachers from all around the world. Teachers can also use Google Plus communities to create classroom communities where students get to learn collaboratively, check out this " 11 Steps to Create A Google Plus Community for Your Class " to learn how you can create one for your class. This is the community we created for this blog. By joining you will be able to stay updated about what we post here everyday and also engage in relevant tech ed discussions. See you there. 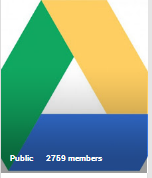 This is a community of people interested in Google Apps for education. Connection, Discussion, Sharing, Discovery ... with Google Apps for Education. A community of education professionals, technologists, students, and anyone else interested in sharing discussion of all things tech in education. This is an open space for anyone who's interested in effective technology leadership in P-12 schools. Please share widely and contribute as desired! this Community will be a welcoming space where learners of all ages, and from all walks of life, can come together to share their connected learning experiences, challenges, and thoughts. This is a community for educators utilizing or planning to utilize iPads and other mobile devices to engage students and optimize learning. 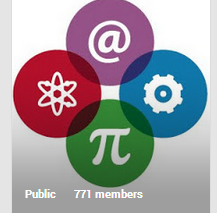 This is a community where STEM educators can meet to share ideas and experiences. Everyone is welcome here, however, because everyone is involved in the education process. If you have a passion for science, technology, engineering, or mathematics education, you're in the right place. Welcome to the Google Docs and Drive community, where we discuss new features of Google Drive, discuss about wanted features or concepts, and solve problems for individuals! A community for the intersection of research and practice relating to innovation in teaching and learning.